Sometimes when you look at the world through rose colored glasses, things get a little more clear. 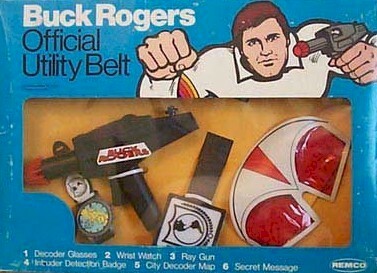 Especially with secret messages. Decoder glasses go way back in time with an air of mischief and mystery. Found everywhere from cereal boxes to superhero kits, they are a wonderful play on the science of visible light. In reflecting away certain colors, they let others with the secret message through to the eye. For a long time, you had to accept the codes you were given, and then recently, people started talking about how you might try making your own with image editing software and printers. With these, you spent most of your time in design and always end up having to run your documents through a color printer twice to make the layers. But now you can do it with just a couple of writing implements. And the results, even as you come to expect them, are pretty wonderful. This is a method for everyone to be able to write their own secret messages in coded color with the glasses to decipher them. Whether you're teaching the science of light or a spy in training, let's get colorful. If you're going to send top-secret messages, you're going to need a good pair of shades. This first part is a simple, fun, and decorative process that can be found all around the internet. 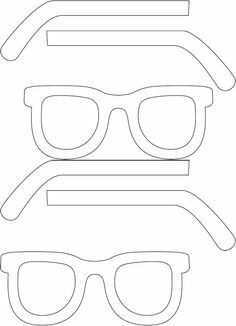 Draw or download the outline of a pair of sunglasses, and tape to a piece of cardboard or chipboard. Cut them out so you have a fun, semi-sturdy pair of frames. Take your piece of red acetate, and trace out the size of your lenses against your frames. Make sure to make them larger than the hole, so you have room for hot glue. After you attach them, let them dry for a second, and you have a nice new pair of decoding stunners. The key to this trick all lies in these three writing implements, and was something that took a while for me to figure out. You need a blue crayon, a red ball-point pen, and a yellow highlighter. Start with a sharpened blue crayon, and write your secret message. Then take your red ball-point men, and make some crosshatches (not too dense) over the top. Use the yellow highlighter to add some noise to make the code harder to see beneath. I found it works well to wear the glasses while you're doing this to make sure you don't layer it on too densely. The reason why it's so hard to make your own secret messages is because you need to layer colors on top of one another without letting them mix. With ink alone, in printers you have to stack them, but there's an easier way: wax. The wax of the blue crayon doesn't mix with the inks of the red ball-point or the highlighter, and they don't really blend with each other either. The other inks lie on top of the wax, and that makes all the difference. Use your writing implements to make the codes, and wear your glasses to break them. Experiment with densities and orders, but you can make some pretty elevated enigmas without too much effort at all. To understand the science behind decoder glasses, it is all a matter of light reflection, transmission, and absorption. This has to do with how we perceive the color of all things, and you can find a great primer here. Write secret messages, reveal others, and of course, keep exploring. nice! Now I know what to do with the kids in church on Sunday. Thank you! Keep up the awesome ibles! nice instructable.. keep it up.! As always, a great read and an easily approachable project. Well done! I wonder if this would work with other colors? As in using a red crayon, blue pen, and a highlighter (not sure of the color here) with blue lenses? If I were still in college, I would raid the theatre department's collection of old gels and try it out.